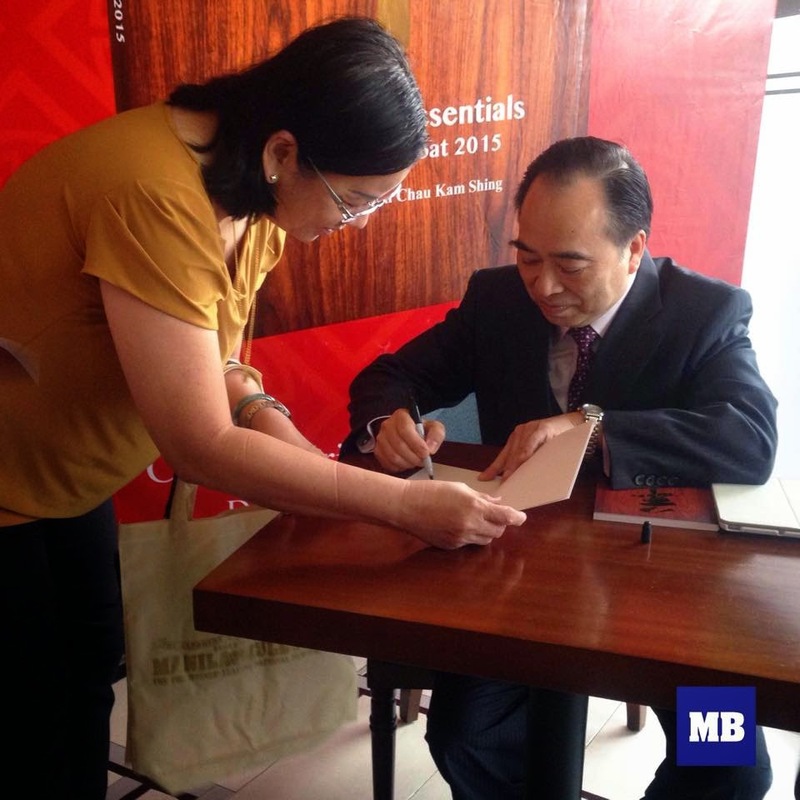 The Intersections & Beyond: Master Joseph Chau Kam Shing releases first book, "Feng Shui Essentials: Year of the Goat 2015"
Master Joseph Chau Kam Shing releases first book, "Feng Shui Essentials: Year of the Goat 2015"
The knowledge of world-renowned Feng Shui expert Master Joseph Chau Kam Shing has been deemed legendary for a long time. 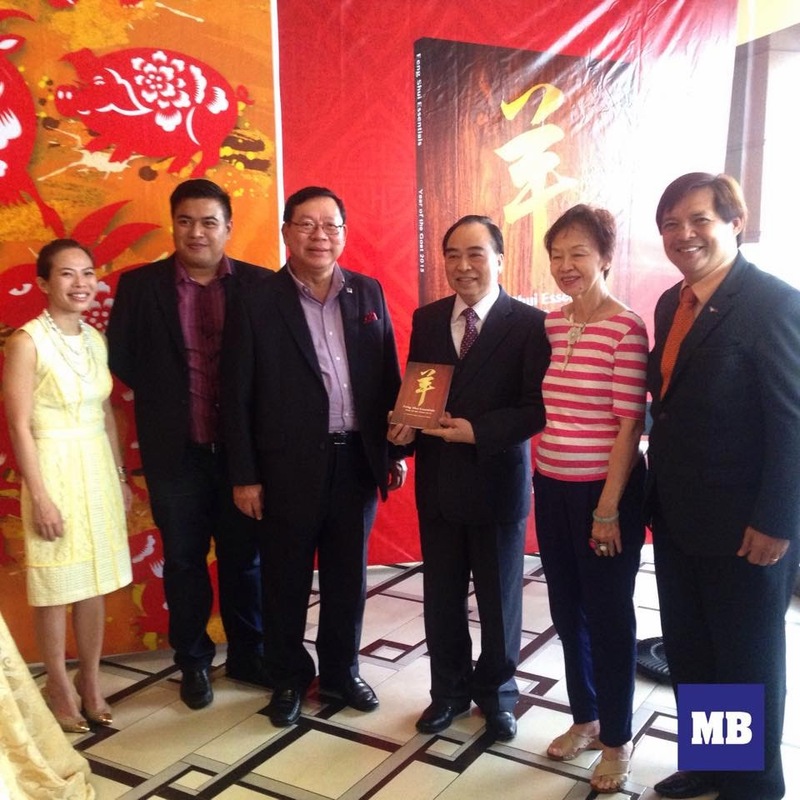 His fortune predictions, which were annually published in the Chinese New Year supplement of Manila Bulletin for about a decade, have amassed a huge following. 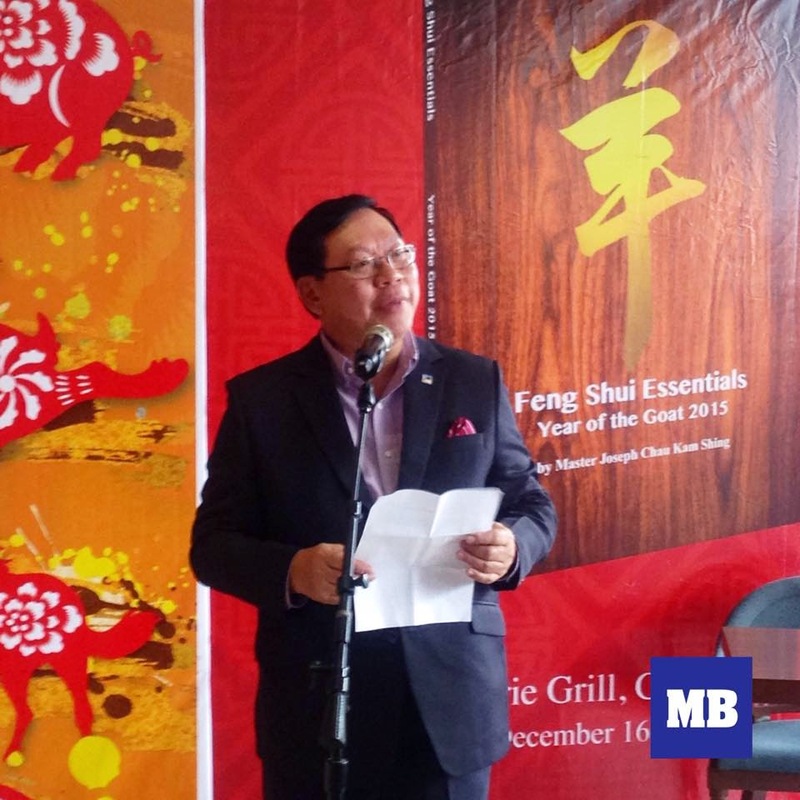 Master Joseph just released his very first Feng Shui book, Feng Shui Essentials: Year of the Goat 2015 (published by Manila Bulletin) on December 16, 2014 held at Cowrie Grill at Greenhills Promenade in San Juan City. Master Joseph is acknowledged as a primary figure in Chinese geomancy. He has been featured in several television shows and publications all over the world, including CNN International, London’s Feng Shui for Modern Living, and Los Angeles Times. His excellence has made him highly anticipated every year, having celebrations that are well-attended annually. 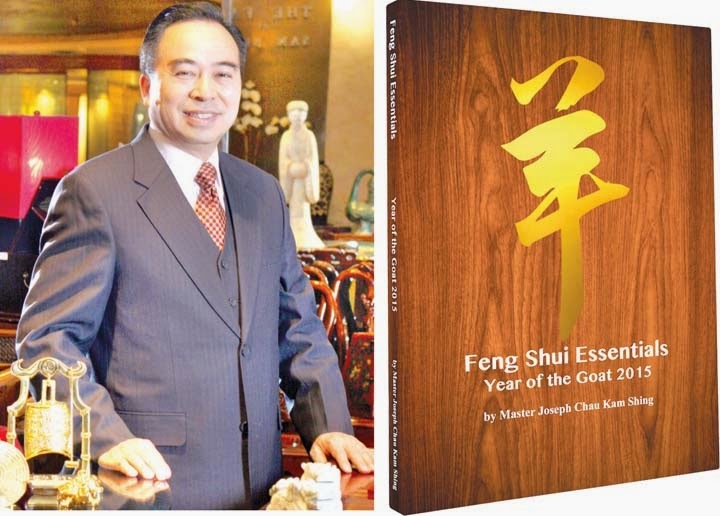 As part of the upcoming lunar New Year, Feng Shui Essentials is a collection of daily advice and predictions leading to good luck and fortune. The book is believed to help the readers in planning their major life events through horoscopes corresponding to their respective zodiac or animal signs. 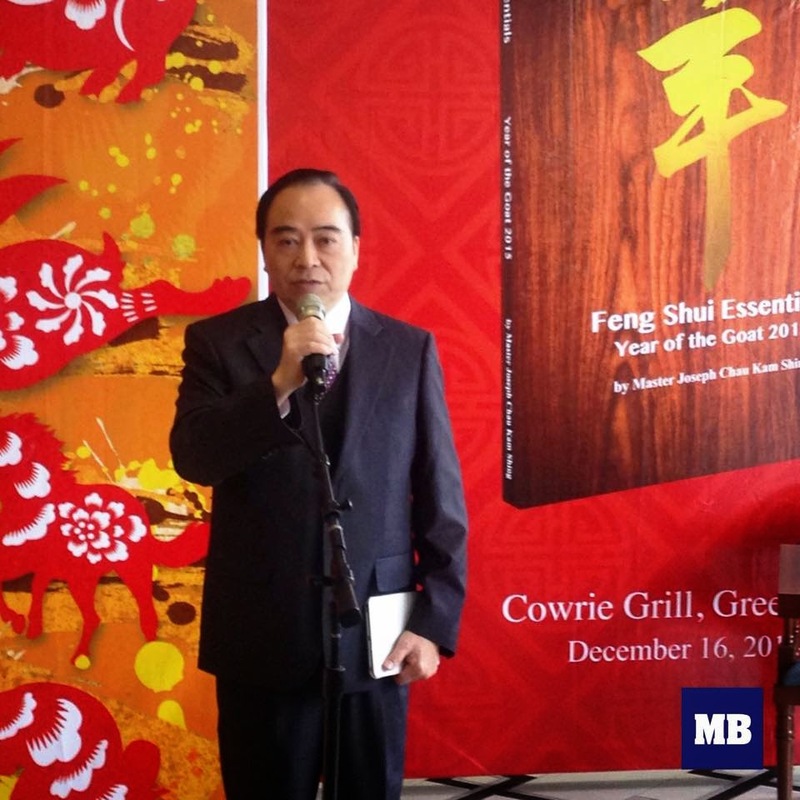 Feng Shui Essentials incorporates segments and guides related to Chinese signs and astrology. Among these are: the lucky stars of the readers, the fertility chart—which can indicate the possible gender of their next child through combining their age and date of conception—and monthly forecasts to help the readers prepare for what’s in store for them in 2015.